I love soccer. Soccer has always been a sport that I was just born good at it unlike basketball that took me a couple years of master. 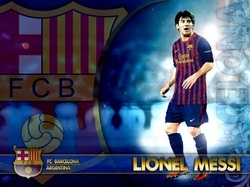 My favorite player is Lio Messi. He plays for Barcelona he is a forward and he is the captain of the team. He has received FIFA world player of the year. He is a legend.